An outdoorsy child Tadao Ando who spent major chunk of initial years of life boxing and working with a carpenter was born on born September 13, 1941 in Osaka, Japan. Tadao Ando was never a good student and preferred learning things on his own outside the class. His initial interaction with architecture was through widely spread traditional architectural around him. He himself states that in early stages he learnt architecture by visiting shrines, temples, tea houses and many other traditional buildings in Kyoto and reading books about them. Ando was studying in second-year at high school when he eventually thought of acquiring as a profession and gave up his boxing career for it. 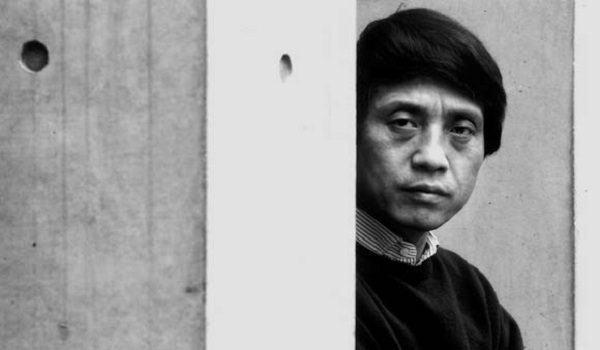 Tadao Ando did not have any formal education for architecture. He used to take drawing classes at night and correspondence courses on interior design. For Tadao Ando traveling was equivalent to school training thus he made a number of visits to the USA, Europe and Africa in the period between 1962 and 1969. His architectural ideas matured and gained strength with this mode of learning and he finally set up his architecture firm in Osaka in 1969. All the work of Ando is governed by some major factors that are repeated in all his projects. He draws a great impact on users of his buildings with the help of expansive walls. This powerful and large influence of materiality leaves the visitor in awe. Tactility is the other architectural element that Ando targets. He makes hard walls look fragile to touch. These overshadowing plabes embrace light and wind with grace maintaining the grace of stillness. The most strong and long lasting impression poured on visitors in his buildings is emptiness. Once you are in a Tadao Ando building, only the light and just light dares to enfold you from all dimensions of space. All of his work is distinctively simple and turns architecture of the first half of 20th century in an altogether new direction. His most remarkable works comprise of religious buildings and the exceptionally beautiful example of which is Church of Light. Only an architect like Tadao Ando could have achieved this level of spirituality to blow in this piece of architecture. It comprises of two freestanding walls crossed at 15 degree making a rectangular box. While entering the church the visitor gets forced by bisecting walls to turn as Tadao Ando is of the viewpoint that entering a building requires an act of will and awareness of architecture. Tadao Ando is an architect of his own kind and it would be absolutely fair to call him the living legends of this field. Like many other architects he has also taught at universities including Yale, Harvard and Columbia. He encourages the young lot to let themselves dream and pursue them.